As the city of Charleston was being laid out in 1680, this 4 acre lot was set aside for public use. A hospital, poor house, workhouse for runaway slaves, and jail were built here. 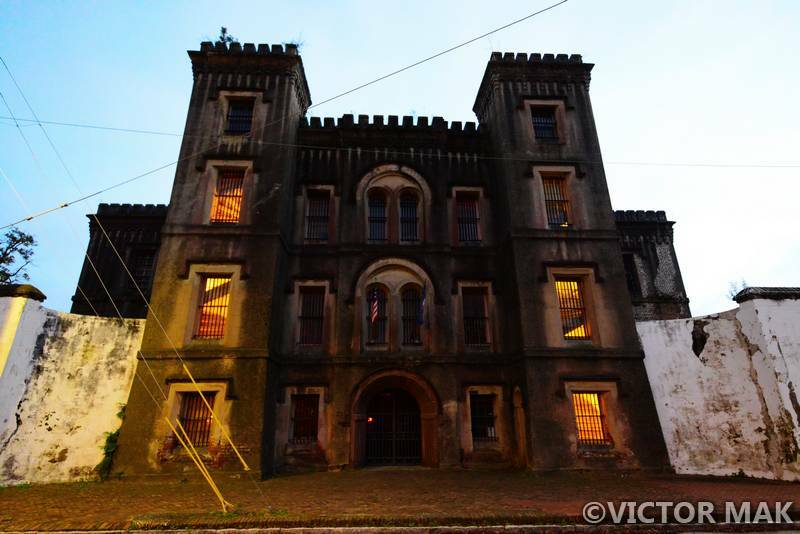 This 4 story jail with an octagonal tower was constructed in 1802 and operated until 1939. In 1855, Charleston architects Barbot & Seyle added a rear octagonal wing, expansions to the main building and Romanesque Revival details. 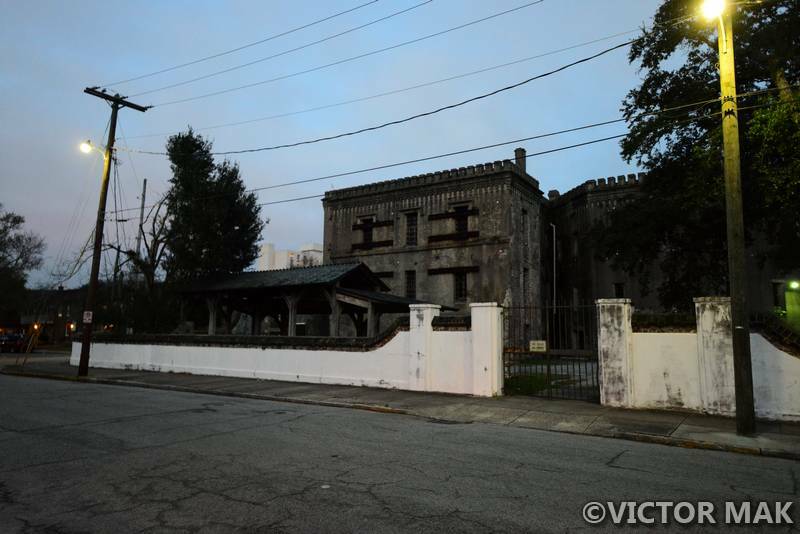 The 1886 earthquake badly damaged Charleston and the tower and top story of the main building were removed. The jail has held a lot of criminals over the years. In the early 1800s, pirates who were waiting to be hung waited here for their deaths. John and Lavinia Fisher and members of their gang were imprisoned here. Some legends say Lavinia is the first female serial killer . She and her husband ran the Six Mile Wayfarer House which was 6 miles north of the city. Due to popularity with locals and lack of evidence, complaints of guests missing went unheeded. David Ross and John Peeples were two of their victims that managed to escape and with them the local authorities were able to imprison the couple. Some say Lavinia haunts the old jail and her last two words can still be heard. She was hung and buried in a potter’s field near the Old City Jail’s grounds. The stories of her being buried at the Circular Church or Unitarian Church were made up by tour guides. During the Civil War Confederate and Federal prisoners were housed here. The jail also imprisoned people from Denmark Vesey’s planned slave revolt. In 2000, the American College of Building Arts acquired the land from the Housing Authority of the City of Charleston. The Housing Authority didn’t use the jail. Most of the original building structure remains intact. When the college took over the building they worked to stabilize the structure. The school was started by Alabama native John Paul Huguley. He was inspired by Charleston master artisan Philip Simmons to tackle the growing problem of historic building preservation. After Hurricane Hugo hit in 1989, it grew apparent that there was a lack of craftsman qualified to restore the structure. This is a declining trade in the nation. 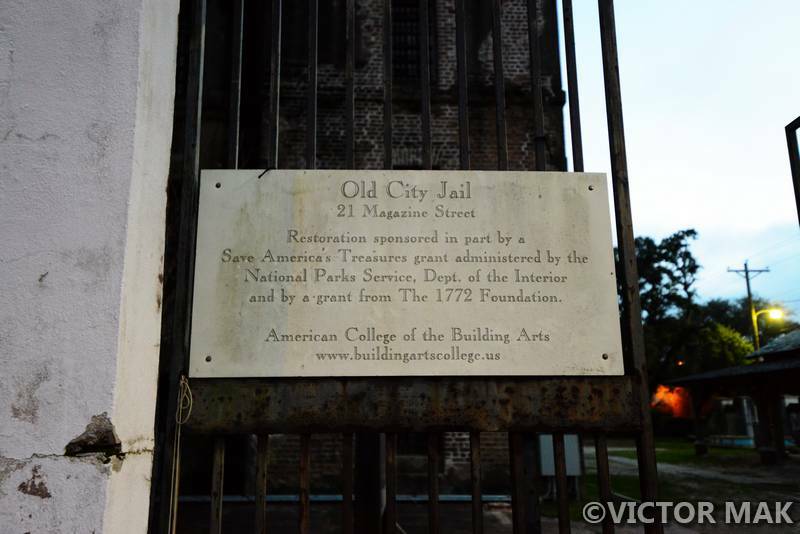 The Old City Jail is “Save America’s Treasures” project of the National Trust for Historic Preservation and the White House Millennium Council. The jail serves as a classroom and laboratory for the school. Wish I realized this sooner – tours are offered during the week if a staff member or student is available. A donation is customary. 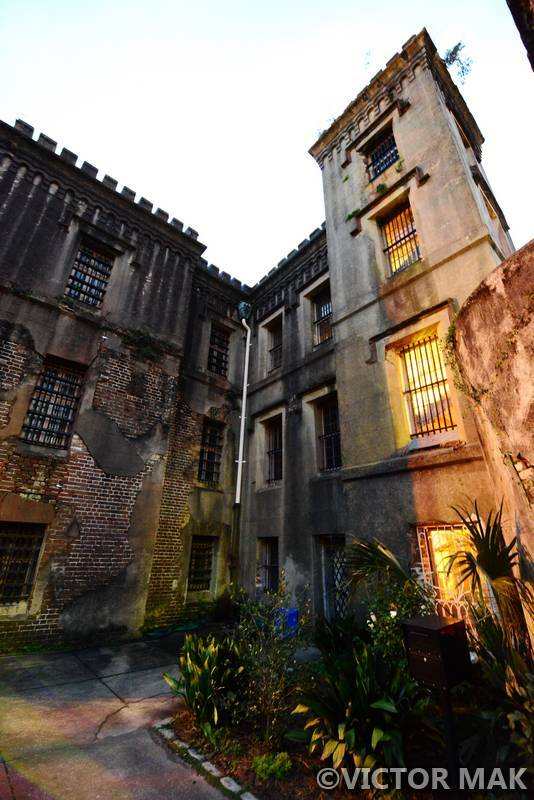 Imagine studying with the legendary ghosts of the prisoners who died here. Posted on March 13, 2016 by jebusandandrea	This entry was posted in North America, USA and tagged Charleston, Old City Jail, Photography, South Carolina, Travel, USA. Bookmark the permalink. Did you ever take any of the Bulldog Tours, particularly the Ghost Tour of Charleston? One of the teachers I work with took it and said it was fun, even if you don’t believe in ghosts. They toured the Unitarian Graveyard that you wrote about earlier, and a plantation house where the ghosts of murdered slaves supposedly cry and scream at night. (I was like, uh, I don’t think I want to tour that place, especially at night.) She also mentioned a jail, and I’m guessing it’s the one you visited. I sometimes think the stories are made up by tour guides to make these old places seem more interesting, though for me that’s unnecessary. Just the fact that a place is rife with history and is very old makes it a fun destination. 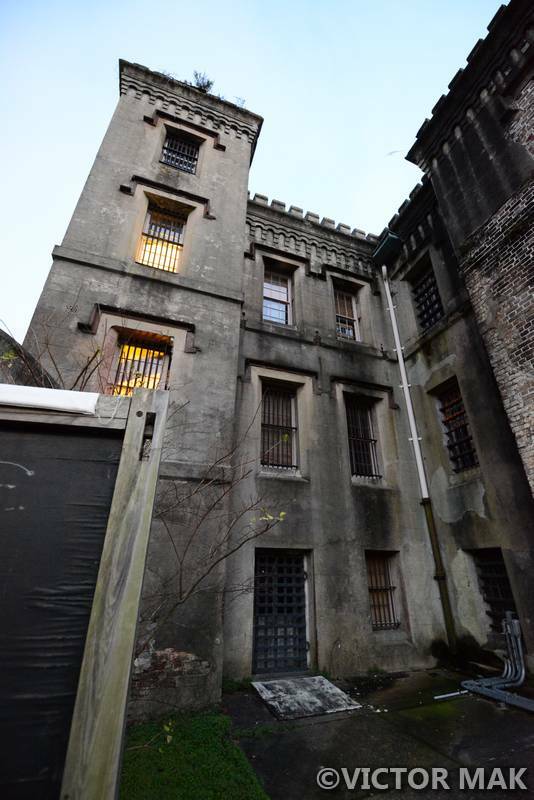 Your photos do make the Old City Jail scary looking! We debated it and decided to just go for a walk at night. The reviews said the tours were kind of kitchy. We really like the Blue Orb tours in Savannah. They researched history for their ghost tours. Maybe next time. Next time I want to get a tour from the school in the jail. It looks so creepy. 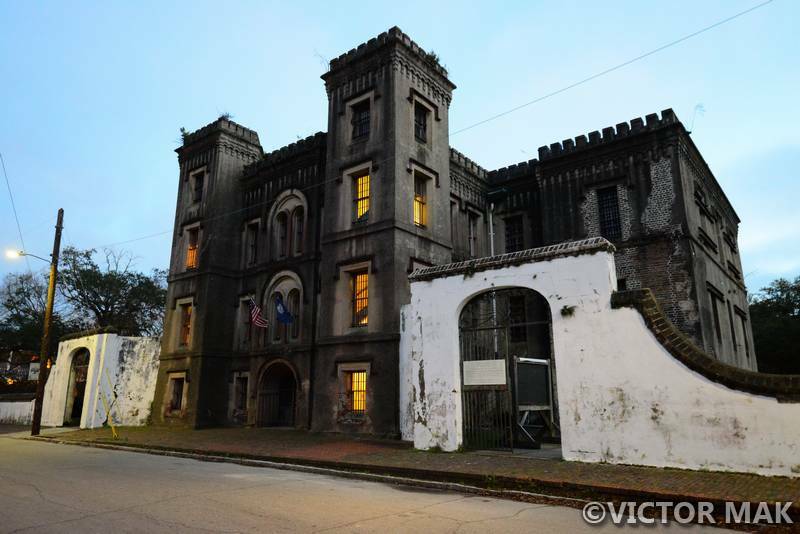 This is a really cool but creepy place…I think I saw a tour of this jail on Ghost Adventures. Thank u for telling its story! Next time we will go on a ghost tour. We love creepy stuff.